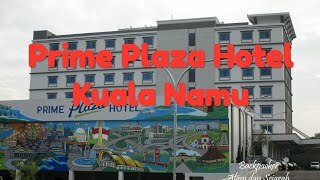 Prime Plaza Hotel Kualanamu is located only 7 minutes away from Kualanamu International Airport, Prime Plaza Hotel Kualanamu is a four star International hotel that combines classic and artistic interior and design. The hotel features 139 beautifully appointed guestrooms comprised of Standart, Superior, Deluxe, Family room, Suite and special designed room for the disability including non-smoking floors, convenient amenities and complimentary wireless internet access. To fulfill guests need, Prime Plaza Hotel Kualanamu is also equipped with adult and kid’s swimming pool, business center, gym, artistic painting Restaurant & Lounge as well as large parking space for more than 100 cars. The spacious ballroom of 648 square meter and 5 meeting rooms will be a great venue for meeting, convention, exhibition, and any memorable events. By “Yes, I Care” motto, guests will be welcomed by staff with attentive and friendly service.